The Declaration of Independence has more references to God than the Ten Commandments. George Washington's inaugural address and the Federalist Papers perhaps more than Jesus' Sermon on the Mount. Yet some people persist in reading Thomas Jefferson's personal letter to Danbury Baptists like a law prohibiting the Christian acknowledgment of God. In clear refutation of that notion is this 1982 bill co-written and co-signed by both Democrats and Republicans of the 97th Congress, and signed into law by the President of the United States. "I reciprocate your kind prayers for the protection and blessings of the common Father and Creator of man." "We believe that all men are created equal, because they are created in the image of God." "Our government rests upon religion. It is from that source that we derive our reverence for truth and justice, for equality and liberty, and for the rights of mankind." "I was humbled to learn that God sent His Son to die for a sinner like me." "We hold these truths to be self-evident; that all men are created equal; that they are endowed by their Creator with certain unalienable rights; that among these are Life, Liberty, and the pursuit of Happiness." 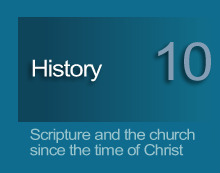 Introduced as Senate Joint Resolution 165, with thirty-three co-sponsors, and as House Joint Resolution 487 with 219 co-sponsors, a request was delivered before Congress to honor the Bible as Holy Scripture. The resolution suffered no amendments, no exclusions, no demands that it be stricken of religious references. It became law.